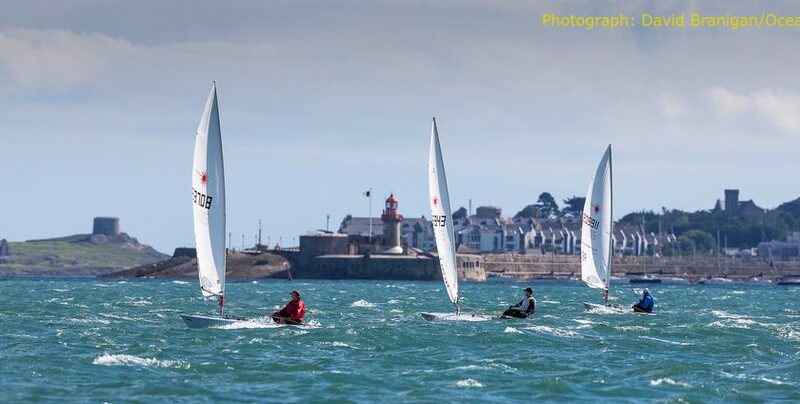 (Dún Laoghaire, Ireland) With just two races remaining in a testing Laser Masters World Championships sponsored by DLR, light breeze relief after six days of fresh winds could yet up-end many of the overall leads in the various classes competing on Dublin Bay. Today’s racing saw generally light to moderate winds averaging about 12 knots but with plenty of stronger gusts. 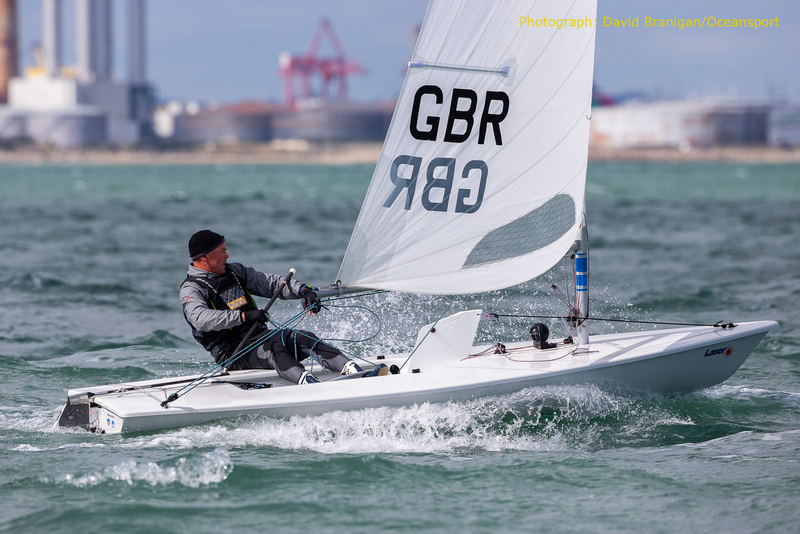 Host nation hopes of a major result continue to rest on Atlanta ’96 Olympian Mark Lyttle competing in the Standard Grand Masters event that has the largest turnout of over 60 boats. The National Yacht Club sailor repeated his previous day’s performance with a fourth and a third place that keeps him in first overall with a six-point advantage. Amongst the Standard Apprentice Masters, the week-long duel between Spain’s Leandro Rosado and Canada’s Gord Welsh is also down to the wire with both boats tied on 18-points apiece. 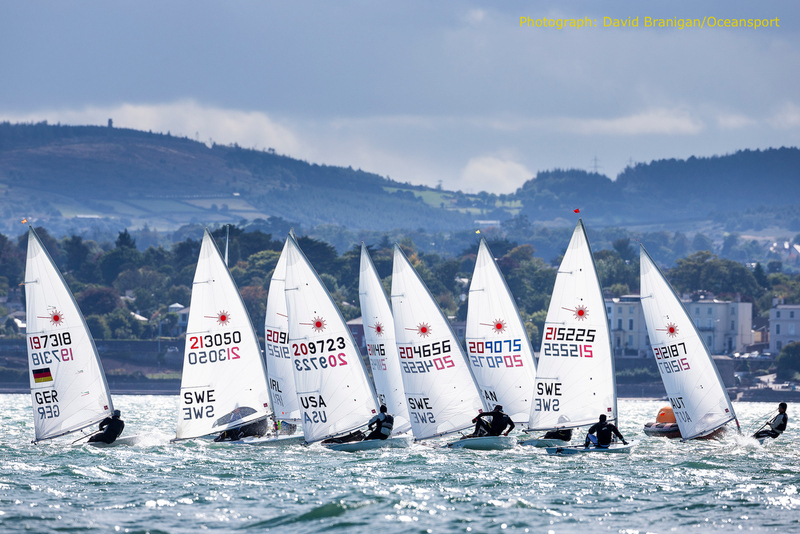 The Irish battle for third place saw Howth Yacht Club’s David Quinn take over with three points separating him from Roger O’Gorman and Pete Smyth. A drop in form for Bill Symes of the United States with a 10th and 20th in the 37-boat Radial Great Grand Masters class might otherwise have done more damage to his prospects but for his main rival, Sweden’s Lasse Wastesson who didn’t fare much better and the American has a 20-point cushion going into the final day. Of the divisions almost assured of no change to the leaderboard, the machine-like delivery of race wins even after a week of demanding conditions afloat continues to impress fellow competitors and race followers alike. In the Standard Masters class, Brett Beyer of Australia secured two more wins for an emphatic 20-point lead. Similarly, in the Standard Great Grand Masters, Germany’s Wolfgang Gerz claimed two more wins for a 15-point lead. A third place, then a win for New Zealand’s Scott Leith in the Radial Masters class leaves him on the cusp of an eleventh World Championship title. Two second places for Britain’s Stephen Cockerill still won him the day amongst the 58-strong Radial Grand Master class with a 20-point lead.